There are hundreds of themed variations covering everything from state landmarks to Star Wars. It seems like everyone owns a copy of the game, even if it doesn’t seem to be all that popular these days. Maybe that’s because we play it wrong. After all, in the instruction book, it plainly states that if a player lands on an unowned property and doesn’t wish to buy it, it immediately goes to auction to the highest bidder. Did you ever play with that rule? It certainly seems like it would speed things up! And did you know that Edward Parker, former president of Parker Brothers, was quoted as saying that forty-five minutes was the appropriate length for a game? Forty-five minutes? 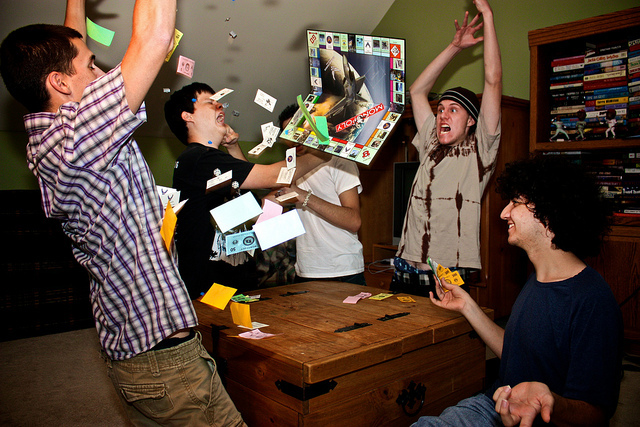 I can’t remember a single Monopoly game that lasted fewer than two hours. Then again, maybe it doesn’t matter anymore. Things are about to change. 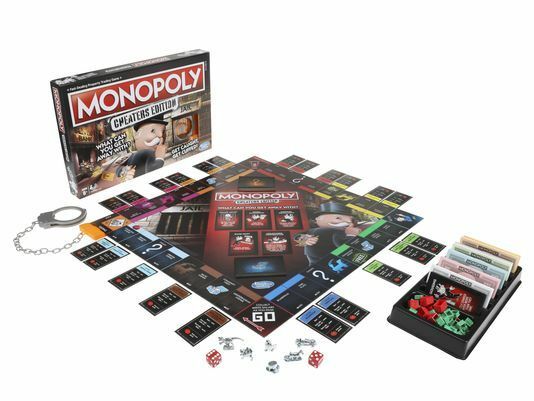 The game is in the news once more after the announcement that Hasbro will be releasing a Cheaters Edition of the game. [Cheaters that get caught are handcuffed to the board itself! You might consider this to be a shameless attempt to cash in by being “edgy” or lean on cynicism already rampant regarding a game that seems to encourage selfish capitalist choices. That has certainly been the reaction of some game enthusiasts on the Internet. That’s certainly one way to look at it — though I suspect that’s partially colored by the fact that this person clearly didn’t enjoy the game in its original form to begin with. Instead, the game encourages you to think outside the box. In that way, it could become something more akin to a poker game with tells and bluffing, or the casual manipulations you’d find in a round of Sheriff of Nottingham. Since the game’s not out yet, we don’t know how far you’re allowed to go with your chicanery. I’m sure some players will try to take more than $200 when they pass Go, but what about…? Can you hide cash up your sleeve in order to avoid playing more Luxury Tax at 20%? Can you gaslight players into forgetting that you mortgaged that property, flipping it over and collecting rent on it once more? Can you bribe other players into letting you pass through their properties without paying? 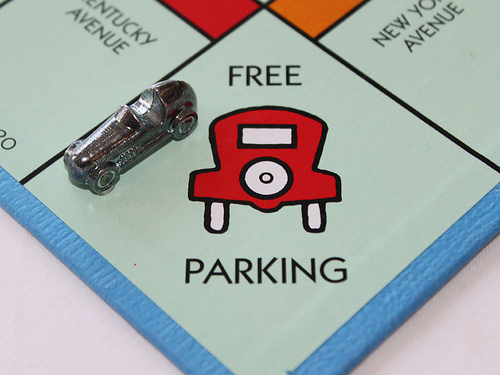 CAN YOU SOMEHOW CHARGE FOR FREE PARKING? Will you be picking up the Cheaters Edition of Monopoly, fellow puzzlers? Let us know in the comments section below! This entry was posted in Games, PuzzleNation, Puzzles and tagged cheater, cheaters edition, cheating, chess, chicanery, edward parker, flipping the board, free parking, games, Geeking Out, go, hasbro, mah-jongg, Monopoly, Monopoly rage, Parker Bros, Parker Brothers, Pop culture, PuzzleNation, Puzzlin' fool, rules, sheriff of nottingham, sportsmanship, table flip by gmdirect. Bookmark the permalink.